Are you looking for ideas for homeschooling activities? Public Library - Public libraries often offer reading incentive programs, story times, book clubs, chess clubs and writer's groups. Some libraries also offer research and computer courses for homeschoolers, and provide meeting space and advertising for local support groups. Visiting your library during the day is a great way to meet other home school families. The best part of using your library for homeschool activities is... it's FREE! Civic Organizations - Citywide orchestras, community theaters, Boy Scouts, Girl Scouts, 4H clubs, and other civic groups are a great source of homeschooling activities. They can provide your family with enriching cultural experiences and a chance to meet other members of the community. Sports - Sports are a wonderful tool for encouraging physical fitness and helping your child learn about teamwork and good sportsmanship. When participating in competitive sports, emphasize fun and skill development over winning. Here is a look at opportunities for homeschooling and sports. Church - Church is a great place for homeschoolers to make new friends and participate in character building activities. Many churches offer programs like Sunday school, Awana, children's choir, praise dance, Upward sports, Bible drill and Vacation Bible School. Churches often allow non-members to parcipate in these programs. Private Lessons - Gymnastics facilities, art centers, skating rinks, music studios, and dance studios often offer daytime lessons for homeschoolers. You may also be able to take advantage of home school PE classes, open playtimes, swim instruction and karate classes at local gyms. Recreation Centers - City recreation centers are a low cost alternative to private lessons. Rec centers offer courses in everything from sports skills to drumming to art to chess. They are also great places to burn off energy when it is too hot, cold or rainy to play outside. Home School Support Groups - Homeschool support groups provide homeschooling activities such as park days, science fairs, debate teams, spelling bees and field trips. They also offer regular meetings that provide support and encouragement for parents. Here are some tips for choosing a homeschooling support group. Here are some tips for starting a home school support group in your community. Homeschool Co-ops - In homeschooling co-ops, or home school cooperatives, families come together to share teaching responsibilities. Classes may be taught by parents or paid teachers. Here is some information you will want to consider when choosing homeschool classes. Home School Field Trips - Field trips are a great way to get out of the house, meet other homeschoolers, and enhance your study of art, science and social studies. Local organizations like zoos, museums, fire stations, and government offices provide valuable educational experiences. Here are some tips for preparing for homeschooling field trips. Here are some tips for choosing homeschool field trips your family will enjoy. Don't overlook volunteer opportunities at hospitals, elder care centers, homeless shelters and after school programs. Give your child the opportunity to try new activities, even if they don't line up with his or her strengths. Older students may be interested in pursuing internships or apprenticeships in museums, veterinary clinics or other areas of interest. Teenagers who are looking to gain experience and earn an income may want to start a business or obtain a part-time job. Be mindful of school requirements, housekeeping duties, mealtimes, nap times, and work schedules when signing up for homeschooling activities. Don't over schedule, or feel pressure attend numerous activities outside of your home. When adding an activity to your homeschool schedule, consider practice, preparation and travel time in addition to the time spent at the event. Also consider the fees and equipment the activity will require. Discuss these costs with your child, along with the required meeting times, practice times and expectations for behavior, and have your child agree to continue the activity for a specified time period. If problems arise, know when to encourage your child to continue and when to let him or her move on to something else. Looking for ways to have fun on a budget? 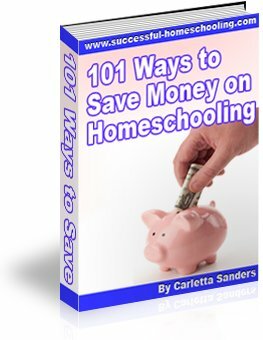 Follow this link to download your FREE copy of 101 Ways to Save Money on Homeschooling.